A tale told by idiot, full of sound and fury, signifying nothing. 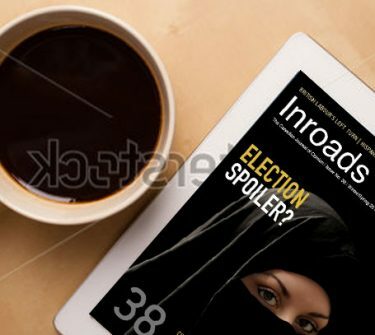 As this edition of Inroads heads to press, the outcomes of loud, divisive and ostensibly important elections in Europe have rolled in. In France, the charming and occasionally conservative Nicolas Sarkozy fought a losing rearguard action to protect his presidency from the steady assault of his Socialist challenger, François Hollande. Sarkozy’s loss signals the obstreperous French electorate’s rejection of post-crisis fiscal austerity measures, measures which were set in motion by Sarkozy and which, for the most part, they have yet to experience. Perhaps more than that, the result signals populist resentment and the French elite’s attempt to take a stand against what they see as an overbearing German electorate’s self-righteousness, arising from Germany’s relative fiscal competence. In France, a vote for Hollande was a vote against Chancellor Angela Merkel and thrifty Swabian housewives, one which carried the bonus message of a rejection of the arriviste Sarkozy. German voters in Schleswig-Holstein shared some of this populist sentiment, on Sunday rejecting Angela Merkel’s candidates in a regional election. In Greece, riots have given way to ritual electoral comedy. In the past 38 years Greece has run elections with four different flavours of proportional representation. The 2009 episode produced a Socialist majority of seats, but not a strong one, owing to the division of votes between the Coalition of the Radical Left and the Communist Party. And the Anticapitalist Left Cooperation for the Overthrow, the Communist Party (Marxist-Leninist), the Marxist–Leninist Communist Party, the Workers Revolutionary Party and the Organization for the Reconstruction of the Communist Party of Greece all won votes, but not seats. This latest election, in early May, was to be different, owing to a fifth model of proportional representation: the party gaining the biggest share of the popular vote would be granted 50 seats in the Greek parliament off the top, with the remaining 250 seats divided proportionally to votes cast. Yet it seems that the Greeks do prefer comedy to tragedy. The incumbent socialist party, Pasok, came in third, and the conservative New Democracy party, which garnered a plurality of votes, is unable, even with its 50 bonus seats and the support of Pasok, to outvote the second-place party, the Coalition of the Radical Left, and its Marxist flankers. The anti-immigrant Golden Dawn party will vote in parliament for the first time, and the only certain result is that Greek politics will remain as fractious as ever. Ultimately these elections signify nothing: they cannot address the toxic economic bonds that make fiscal policy a burning cross-border issue within the eurozone. The toxic bonds are created by the euro itself, which formally came into being in 1998 and represented what was then to be the key step on the road to making the European Union a true federation. Critics at the time pointed out that a political federation typically rests on common interests and a political willingness at least to get along with the other partners – close friendship not required. The federalists’ hope was that prospective members of the union would first be bonded by a common currency, administered by the new European Central Bank (ECB), and subsequently would forge the political willingness to get along. Europe was set on its federalist road with the cart before the horse. Because the euro by definition imposes a single exchange rate within the eurozone, it eliminates the capacity of member states to devalue their way into market competitiveness. In the face of rising productivity abroad or elsewhere within the zone, member nations were expected to continuously improve domestic resource allocation, and manage labour costs, to maintain competiveness in trade and access to export markets. Nontraded sectors cannot escape – if barbers, taxi drivers and public sector workers receive exorbitant wages relative to their outputs, other businesses and consumers have less purchasing power available to them domestically or abroad. Hence the euro would in theory impose discipline on domestic labour and product markets, and on governments. Now, euro member governments might be tempted to borrow in the new currency, and so escape some of the competitive pressure on markets and troubles with unions that might flow therefrom. The governing treaty therefore set limits on the size of deficits governments would be allowed to run, and proposed, perhaps incredibly, to levy large fines for exceeding them. Trouble was not hard to forecast. Even as the euro was born, French politicians stood ready to blame domestic economic difficulties on “unregulated global markets” and their “untrammelled greed” and Anglo-Saxon neoliberals’ presumed desire to discredit the “European model of a social market economy.” Such words served notice in France, as in Greece, that market competitiveness and fiscal probity would founder on nationalist or populist rocks. The trouble also arose because currency unions, like those among Canada’s provinces or the U.S. states, normally include a centralized fiscal arrangement, like a federal tax authority, and features to support and complement subnational fiscal authorities, such as equalization in Canada. It gets worse. The ECB, because it has an inflation-targeting mandate that could easily be blown off course by tending to regional fiscal matters, is forbidden from offering credit to governments or other public agencies. But, as Laidler and I also pointed out, the marketable debt of member governments and of their banks is involved in day-to-day monetary policy. The ECB is a system comprising the national central banks of the euro members. Those banks’ daily activities include transactions with private banks, such as “repos,” whereby the central bank accepts securities in exchange for providing cash to the private banks, which agree later to buy back those securities. The securities offered as collateral often include claims on own-country or foreigners’ sovereign debt, and because developed-country debt is taken to be riskless, banks need reserve no capital against it, and the central bank does not apply a significant discount to it in tallying up the value of this collateral. Now, a short view of history, or a casual eye over the modern eurozone, tells us that not all sovereign debt is the same. As Greece has tottered toward default, no private buyer would pay a price for a Greek bond that reflected certainty of being paid back. As talk of default mounted in early 2011, however, the ECB could not acknowledge this reality; it became a (presumably unwilling) accomplice to politicians’ routine refusal to recognize reality and move on to the “work-out” phase. To have marked down the price of Greek sovereign and bank debt would have placed the capitalization of the European banking system severely at risk. Instead, the ECB has participated in endless patchwork proposals to keep the possibility of Greeks’ honouring their debts alive. All this has meant heavy pressure on the ECB, resisted mainly by the German government, to accumulate member-nation debt. The solution to Mediterranean-nation indebtedness, beloved of economists who would like to see the eurozone steam toward federation status, is that the ECB issue Eurobonds, jointly backed by all euro member states. How this will play out is unclear, but what is clear is that the ECB, and banking regulators generally, should stop treating claims on sovereign debt as equally riskless. If they were to do so, the ECB would be on better moral and financial footing for fighting pressure on it, and sticking to its inflation mandate. Meanwhile, the fiscal pathologies are such that neither the Socialists in France nor whatever coalition temporarily rules in Greece will have a cure. 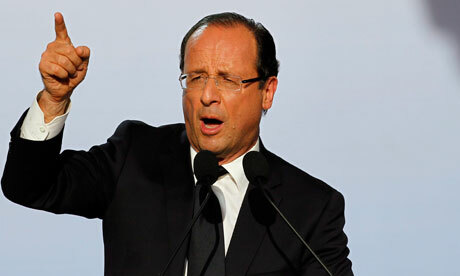 There is no ready cure within the fiscal capacities of either France or Greece. Austerity measures cannot fill the bill, and what has been achieved to date in Greece may yet be overturned. Short-term, the ECB may find itself buying more sovereign debt, under the unhappy eyes of the Germans, who ultimately will finance it. Medium-term, the financing packages that politicians currently are working on internationally may evolve into a form of European Monetary Fund, fashioned loosely after the IMF. Success on either front will depend on fiscal competence winning the day among the troubled southern European nations. The alternatives are few. One is messy individual exits from the euro, wrenching and problematic because the governing treaty does not contemplate the possibility. Yet exiting the euro has entered the realm of genuine possibility. In the wake of news that the first postelection attempt in Greece to form a new government had failed within hours, German finance minister Wolfgang Schäuble said, “If Greece decides not to stay in the eurozone, we cannot force Greece,” meaning, roughly, don’t let the door hit you on the way out. Option two is to implement side-by-side euro-like currencies, one for the weak countries, another for the stronger: ugly but doable. Talk of a two-speed Europe, once popular in the northern nations, has reemerged. The third is a euro implosion, dissolution of the euro and return to national currencies across Europe. On the strength of the election results, and a few years of wrenching fiscal and financial performance, I say that the odds of option three have gone up.